Happy 2015!! So far I've started off the year with a quick and happy finish....YAY!! 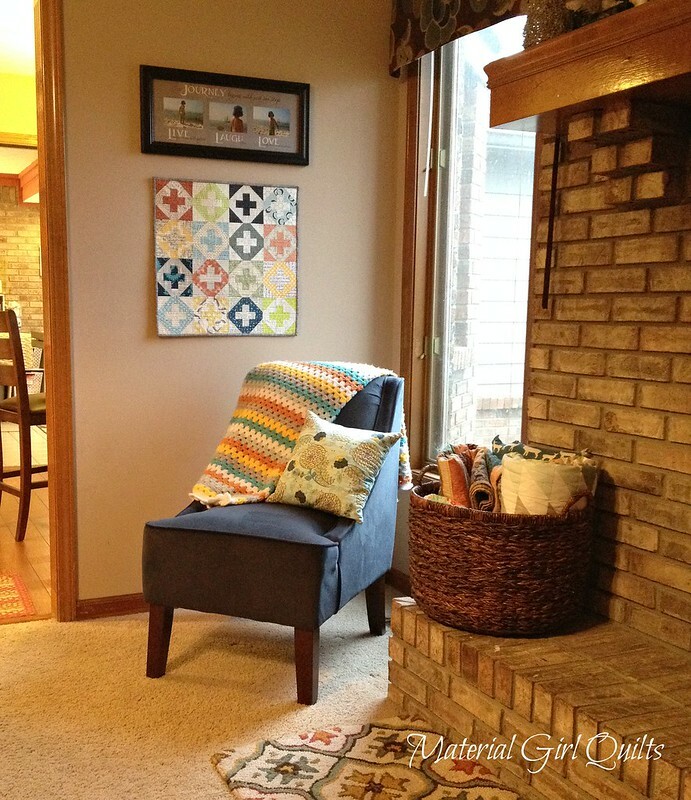 Introducing my Inside Addition mini quilt. It's cold and rainy here today, so these are the best photos I can get. 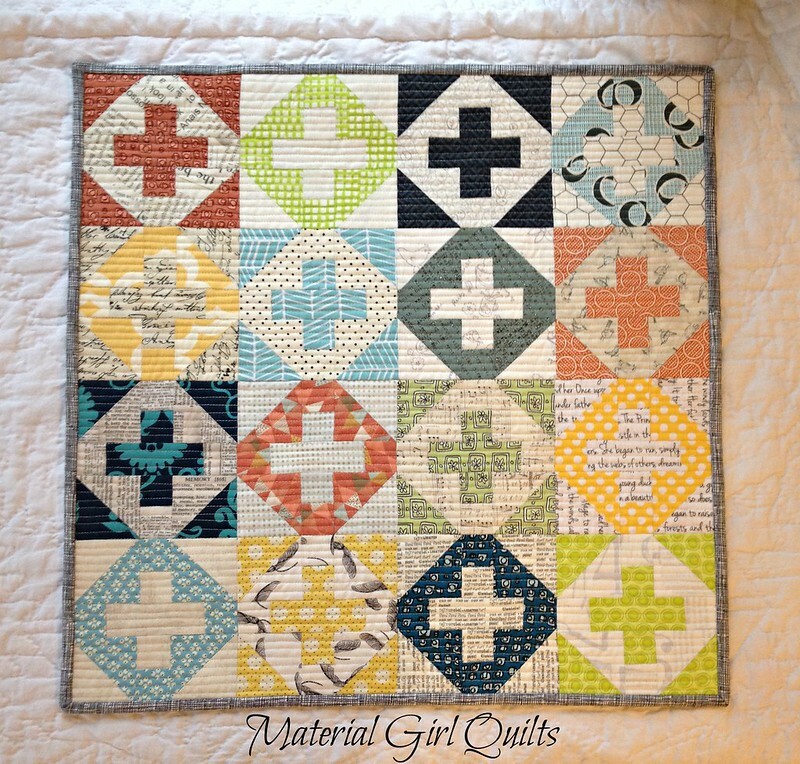 My friend Jessica, who blogs over at A Little Gray, shared this fun block she designed on Instagram and I fell in love. Her block design finishes at 7 1/2" (cutting requirements and diagram can be found here). 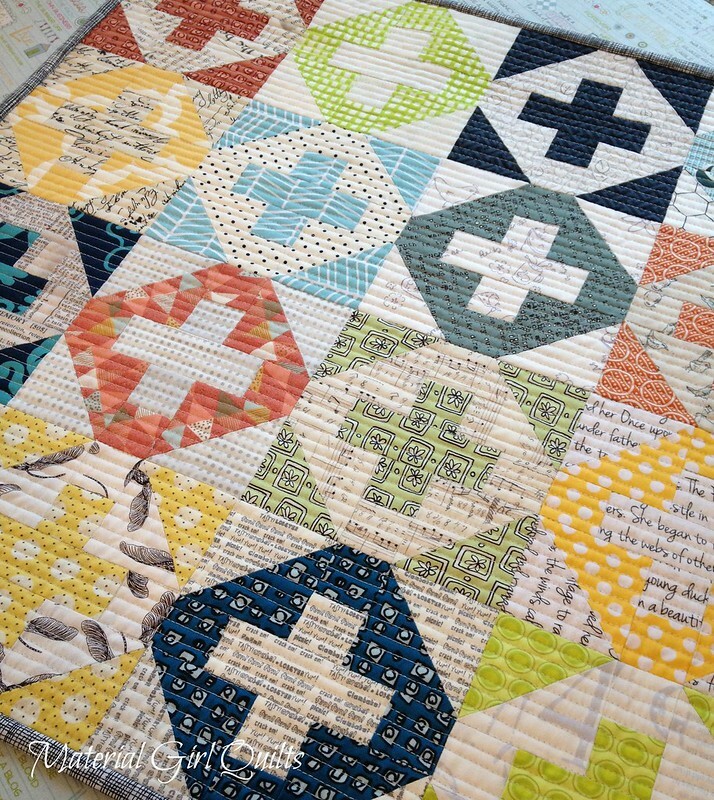 She started a little quilt along for anyone who is interested in sewing along with her, and of course I jumped right in. 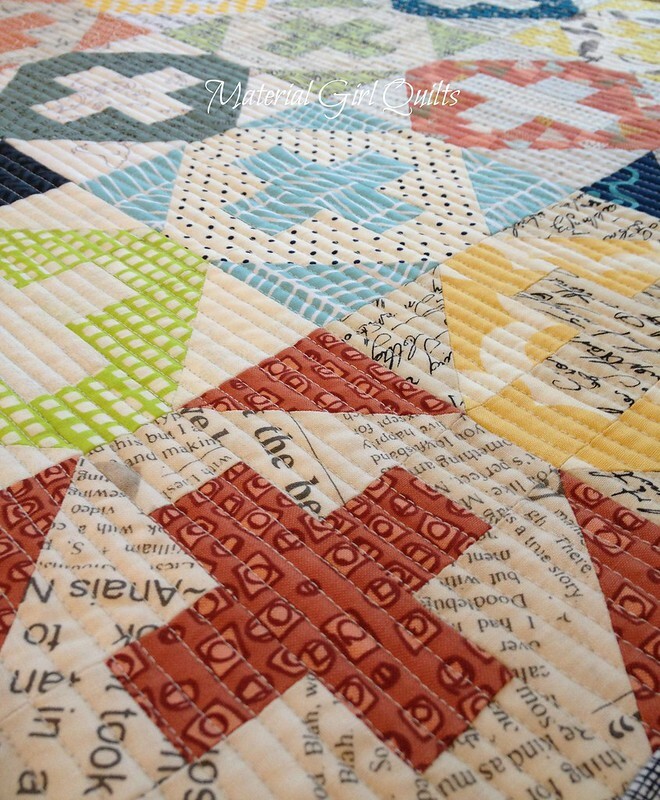 I love the block and was happy to put some of my scraps to use, but knew that I just didn't have time in my schedule to work on (yet another) full sized quilt. So I scaled the block down a bit to finish at 5" (cutting requirements can be found here), and made a mini quilt finishing at 20" square. I love pretty much everything about this quick finish. 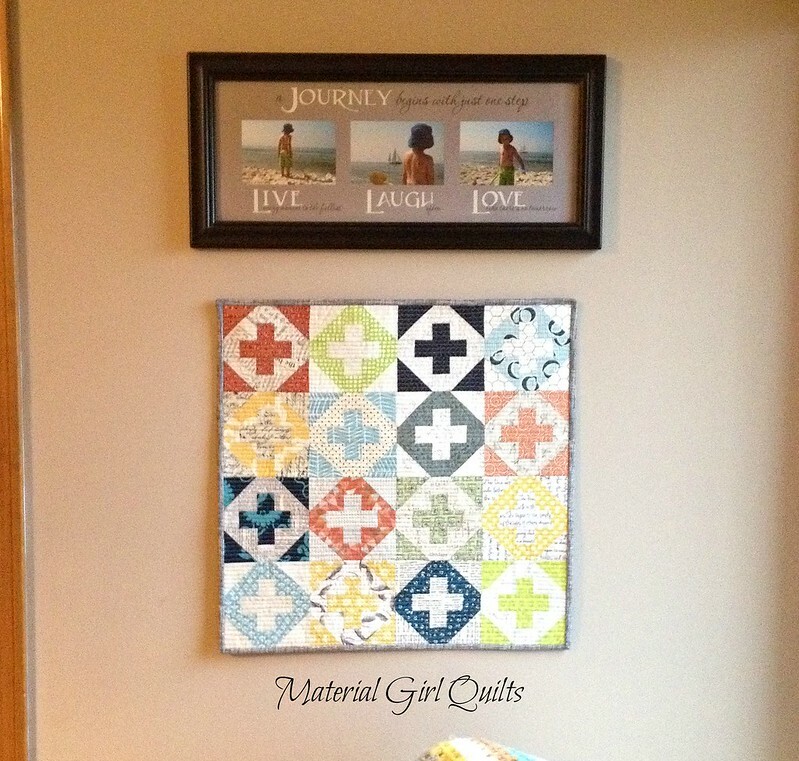 It has some of my favorite fabrics and really is a great way to use up your scraps (especially if you have time to do the full size block and make a bigger quilt!!). Now it lives in this happy/cozy corner of our house. And I'm sure I will smile each and every time I pass it by. Merry Christmas - God Bless You and Yours!